Dogs and cats should not roam around the vehicle; use a crate, carrier, or harness that can be anchored to the vehicle. This is the best way to avoid distractions for the driver and to protect your pet in the event of a crash. Bring along a comfort item for your pet. A familiar item like their favorite blanket, bone, or toy will help them to relax during a long ride. Heading out on a long road trip? Exercise your pet beforehand! He or she will be much more inclined to rest during the drive. DO NOT leave your pet alone in the vehicle! Even when the windows are left down on a warm day, the temperature inside of a car can rise within a matter of minutes. The same rule applies during the upcoming winter season when pets can experience hypothermia. Pack a frozen bowl of water that your pet can lick to keep cool. This is a great way for them to stay hydrated without you having to worry about water spilling all over the car. 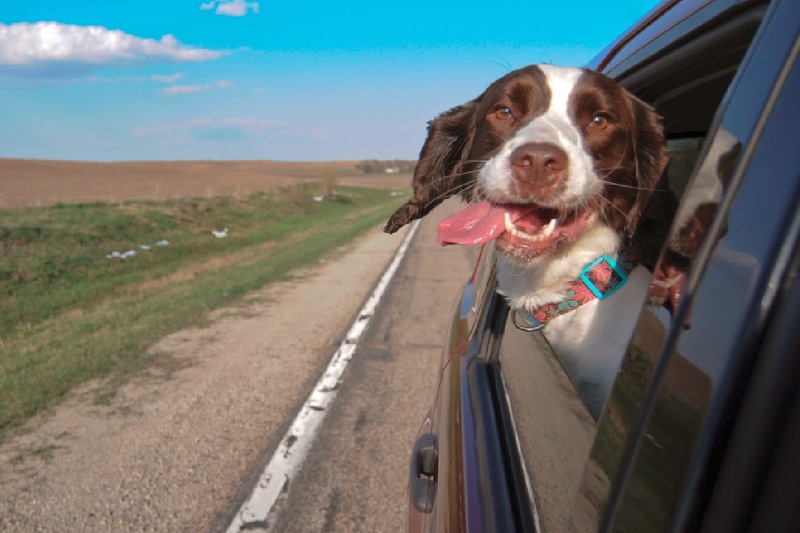 If you're headed out on a long trip, we suggest looking for pet-friendly restaurants, hotels, or dog parks on your route. Just like us, our pets need a break from time to time, so it is important to find locations where you can take them out of the car for a short walk, drink of water, and a snack. If you are headed out on a long journey, be sure your pet is up to date on all vaccinations to protect them against any possible threats. In search of the perfect vehicle that will comfortably fit your entire family and your furry-friends? Visit us at Brighton Ford! We have a huge variety of Ford vehicles for every size family. We are located at 8240 Grand River Ave. just north of I-96 in Brighton. We are a family owned and operated business that strives for customer satisfaction. For more information on Brighton Ford visit BrightonFord.com or give us a call at (800) 836-7417. Newly Designed BrightonFord.com is LIVE!